Jill Robbins, Ph.D., is the vice president of the National Museum of Language, as well as a writer and editor for Voice of America’s Learning English section. Read their latest article, written by Ashley Thompson and Adam Brock and edited by Caty Weaver and Jill Robbins. The original article, as well as additional images and video, can be found here. For part of her life, Sylvia Jackson stopped speaking her native language, Navajo. Like many Native American children, she had little chance to speak her language. More than 100 years ago, the U.S. government began sending Native American children to boarding schools. All the instruction was in English. The native cultures and languages of the children were discouraged. In the last 20 to 30 years, tribal governments have started to promote the teaching of Native American languages in schools. The U.S. Department of Education now also supports Native American language programs. Today, Sylvia Jackson is a Navajo language instructor in the small town of Holbrook, Arizona. She teaches Navajo to students at Holbrook High School. Her classis taught entirely in Diné, the Navajo language. Ms. Jackson said both she and her students have an important part in keeping their language alive. The town of Holbrook is an hour by car from the Navajo Nation. The 69,000-square-kilometer territory is the largest of the 326 Indian reservations in the United States. The Navajo Nation covers parts of four states in the American Southwest. It is about the same size as the country of Ireland. During the 1800s, increasing numbers of European settlers in America moved west. In 1864, the federal government began a campaign to deport Navajos from their lands. The natives were moved to the northwest in a series of marches called the “Long Walk.” The marches took place under the threat of death. Navajo leaders and the U.S. government reached a peace treaty in 1868. It established the Navajo Indian Reservation. 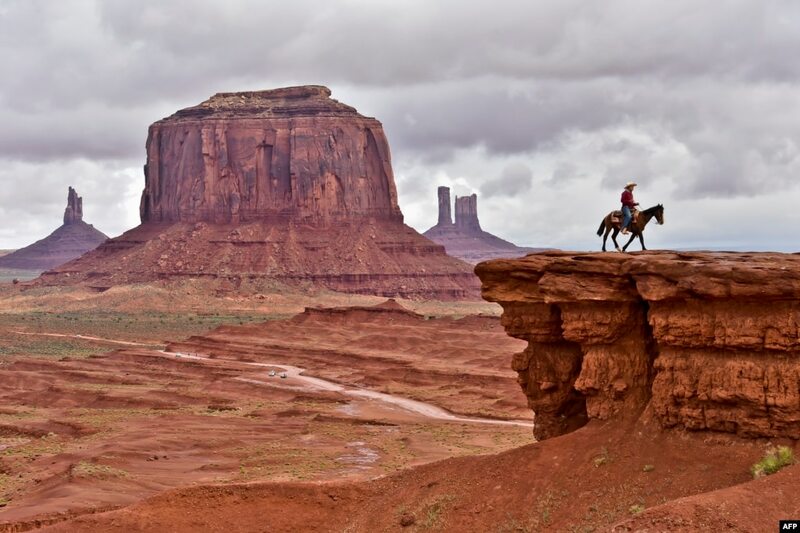 Today, more than 250,000 people live in the Navajo Nation. They have their own laws, fly their own flag, and elect their own president. The 2010 United States Census showed that about 170,000 Navajos speak Navajo at home. It is one of the most robust Native American languages today.